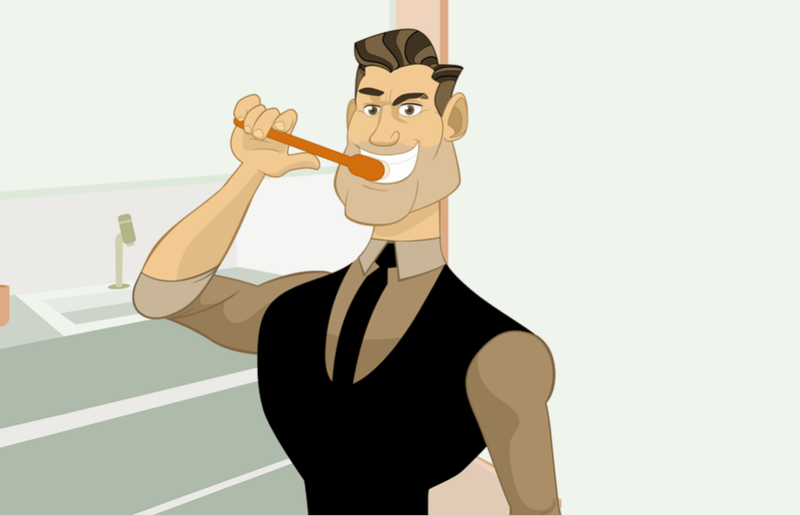 Brushing teeth in oral care is the most basic process. Ayurveda is described as an important activity about cleaning of teeth under Dinkarya (behavioral guardian for day and night). Traditional people from around the world use natural tooth brushes made of healing plants. Ayurveda has also described the cleaning of teeth with the help of some herb stem or twigs. The teeth should be cleaned with twigs (teeth) in which there are bitter, sharpness or stinging properties because they protect against mouth diseases. With sweet, sour and salted flavors, twins increase cough and should be avoided. The best teeth cleaners and neem and acacia twigs. Twigs (teeth) should be carefully chosen. It should be 6 inches long enough to hold it firmly and to clean the tongue. It should be as thick as a small finger A thick twig will injure the gums. The front end of the twigs should be soft (not dry and hard) so that it can be chewed slightly by keeping it in the brush easily. It should be straightforward and should not be twisted. The tip of the twig (teeth) on top of each teeth should be from top to bottom and vice versa. It clears teeth properly and does not damage gums. Tooth powder can also be used together. This morning’s activity clears teeth, tongue and mouth, it restricts bad breath and stimulates taste buds. Sweet and tasty flavor is not recommended in taste in Ayurveda. Dessert is usually not suitable for teeth and gums. Various types of toothbrush and tooth paste are available in the market and they are used more than natural available twigs. After teeth, the tongue should be cleaned, because food gets stored on its surface. If regular cleaning is not done, it gives a smelly odor and also disrupts taste perception. The twigs used to clean the teeth can be used to clean the tongue. Tang scapers made from wood, silver, bronze, copper, steel etc. can be used in the market. Scrapers should be smooth and flexible. Edges should not be sharp or sharp, because it can hurt the tongue. It has been suggested that if the indigestion, nausea, asthma, fever, paralysis, excessive thirst, headache and diseases of the heart, eyes, head and ears, should avoid the cleaning of teeth from the twigs (teeth). If deton is used in such situations, then the possibility of disease progression. आयुर्वेद दांत कैसे साफ करता है?